Cole Medina is a wiz when it comes to production. whether it’s his original House tracks or his Disco edits, the listener can really feel the heart and soul that comes out of his tracks. He also stays busy running his labels American Standard, Licorice Delight, and House Arrest. We catch up with Cole and ask him everything from how he started to his first rave experience in this lovely interview! Enjoy. The Lovely Daze(TLZ): Please introduce yourself…..
Cole Medina(CM): Yo, I’m Cole Medina, representing West Coast! TLZ: Big fan of Tone Loc? CM: A fan for sure, not sure how big though. He definitely seems like someone I’d hangout with. TLZ: What came first, DJing or making music? CM: Making music. I started when I was really young, around six or seven. Believe it or not, the accordion was my first instrument. Back in the day, or what you kids refer to as the good dope days ;P, there used to be these accordion salesmen that would go door to door seeking out potential candidates to take accordion lessons. My sister was the first sucker to take the lessons, she did that for a few years. Then it was my turn. I did that for about 4 years, I got really good at it. Got to the “pros’ as they say in the accordion world (sarcasm). Had to buy this $5k accordion that was almost as big as I was. About a year later, I lost interest. My Dad was pissed he spent all that money! To this day he still has it in the hopes he can sell it for a good amount of cash. There’s probably this huge graveyard for all those accordions being sold to other “potential candidates”. That whole thing was such a racket to sell accordions & music lessons. None the less, it was a start & it planted the seed. Later on I got into the school band & eventually jazz band. CM: I come from a long line of DJs in the family. 12 DJs to be exact. I remember as a kid going weddings, quinceañeras, hall & house parties with my cousins. I remember being in middle school, going to hall parties with older kids, high school & up. My sister got me all dressed up n that GQ/Hi Energy disco style at the time. I was corrupted very young! CM: The producing came when I was in high school. I bought a used Amiga 500 with a toaster card. This was the first desktop computer that could do video editing & recording. The first DAW. I could lay down loops in a program called Tracker. There was just so much going on at the time musically . It was such a natural step for me to get into it. CM: I would say early 90’s Techno & 90’s Hip Hop. I made a couple of friends who would introduce me to jazz breaks which is basically where all your 90’s Hip Hop loops come from. Of course, being a long time jazz student, this was a very natural step for me as well. CM: I like to keep it very simple. I’ll go through songs trying to find an interesting loop if I don’t have one in mind already. It’s usually the one I have in mind that’s more difficult to work with. I will also set aside songs if I come across a good loop, so that if one day I need inspiration or a starting point, those songs are ready to be cut up & go from there. I might take a song & time correct it in Abelton Live. Mostly though, I use Reason, since version 1.0. I like it because you don’t get stuck in the process of making music. You just make music. I constantly tell people, if you find yourself spending hours learning a program or plugin to get it to do what you want it to, you’re not making music, period! Yes, we all have to learn the tools we have, but be very careful how much time you spend doing that. What good is it to have 2000 cracked plugins that you downloaded if you’re going to spend the next year learning how to use it. In my opinion, that’s someone who wants to look busy, not someone who wants to make music. Learn one thing, learn it well, and make music. DJ Shadow seems to make pretty damn good albums on an MPC. it’s not what you’re using, it’s how you use it. CM: I don’t have any favorite plugins per-say. I have a few favorite instruments in Reason that I’ve been using since version 1.0. My current fav is “Thor”. TLZ: When it comes to production, Are you more of an analog guy or do you embrace the digital age? CM: I try to keep my sources as pure as I’m able to, but I’m not going to say ones better than the other. They both have advantages & disadvantages. With the newer equipment, the disadvantages are minimized as technology advances. I would say that I use digital heavily but when I sample a record, everything has to be done right & analog all the way till it gets to my soundcard. If you start with a really great recording, you have a pretty good chance of being able to keep that sound all the way through. If you start off with a crappy 128k mp3 recording of a song that used a plastic needle, all you can do from that point is polish a turd. TLZ: Could you walk us through the first party/rave that you went to that was playing House/Disco music? CM: It was Mr. Fridays in Southgate. It was a weekly party that was put on by a promoter named Alex I. He was one of the OG’S from the Eastside scene. They were playing tracks like The Prodigy’s “Charly” and SL2’s “Way In My Brain”. Lots of what is now Techno classics. The lights, Mickey mouse gloves, & dancing was something I have never seen before. It was made up of people who were friendly, imaginative people who did not want to follow the norm or status quo. They were what you would call “social outcasts.” I remember also, I got my first Techno mixed tape that night from Mr. Flashback, whom I later hooked up with & became my mentor. He helped take my DJing & programming skills to another level. TLZ: Anyone you look up to music wise? more recently: Ooft and DJ Kent. These 2 influenced me so much that I changed the type of music I made & currently making. CM: De La Soul – 3 Ft. High & Rising, A Tribe Called Quest – Midnight Marauders, John Coltrane – Blue Train, Soul 2 Soul – Back To Life, Sade – Love Deluxe. CM: That’s a tough one. I would say hate is a strong word, more like people do not get the same reaction from the song like I do. The last one I remember was The Jet’s – Rocket to you. the 12″ remix version. I don’t like to force tracks on people so I really don’t run into that. CM: Hotline Bling and before that, “Happy” from Pharrell. TLZ: Are you big on internet digging? If som what are your go to sites to listen to new music? CM: Yes, I spent almost 10 years of Disco internet digging. I literally have terabytes of the stuff. I started in 2003 just to give you when I started getting into the Disco side of things. I haven’t done it in few years, all my fav blog spots are dead. They probably still have the same Rapidfire links, if they’re even still existing. Maybe the Ooft blog, Sleazy beats, AOR disco, Beat Electric, and Dream Chimney that I can think off the top. TLZ: Any new upcoming projects? CM: After a mind blowing set from Dj Kent when he was in San Diego, I decided to change up my production style. Yes, it was that good! I’ll be working on synth-y type original compositions. Because I’m going to do it my way, this is going to be new territory for me. I tend to push the envelope rather than follow the current trends. I know Disco has been the hype for a while, & I will continue to make more, but after 13 years of it, production wise, I’m glad to get some new inspiration & start working on other things. But for sure, I will be making a few more Disco records. It will never leave just like House music will never get old to me. TLZ: What kind of set should people expect this Thursday at The Continental room? 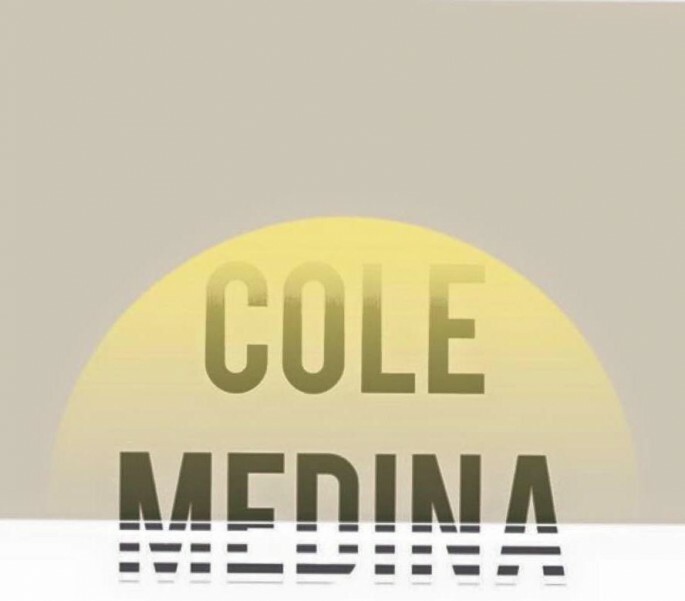 You can catch Cole Medina this Thursday, Feb. 26, 2016 @ The Continental Room.